"In Ireland, over the last 20 years, book publishing has got dramatically stronger. Both the quantity and the quality of publishing has gone up. 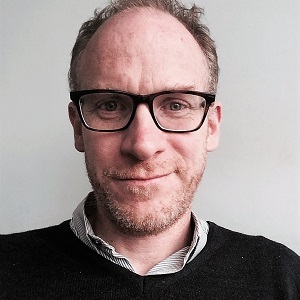 That’s due to UK publishing conglomerates setting up here, and I think the quality of the indigenous publishing scene is a lot higher, by any metric," says Brendan Barrington, speaking to me in the bright, airy conference space of the Penguin Ireland offices in central Dublin. Barrington is editorial director, having joined from Irish indie Lilliput in 2003 shortly after Penguin first set up its imprint in Dublin. Penguin Ireland’s publisher, Michael McLoughlin, who is also md of Penguin Random House Ireland, and Patricia Deevy, now deputy publisher of Penguin Ireland, are part of the original editorial staff, along with Barrington. It helped that both Tom Weldon, now ceo of PRH UK, and Joanna Prior, now md of Penguin General, were both "intimately involved" in setting up Penguin Ireland back in 2002. "They understand Ireland and they have known us for a long time," says Barrington. "That really helps because if, at management level, there was a lot of change, we might have to be explaining ourselves and explaining Ireland. The UK and Ireland markets are very different. There are some obvious ways and there are some very subtle ways that you wouldn’t necessarily be aware of unless you were on the ground for a while." While Hachette and HarperCollins also have operations in Ireland, with slightly differing publishing models, Barrington says that the basic premise is the same. "Publishing is an intimate business," he says. "You need to be on the ground if you want to find the best Irish books. Of course, some of them end up being represented by UK agents, and there are editors in London who will get submissions from those agents of great Irish books. But there are other Irish books for which you have to have your ear to the ground to find out about." The Penguin Ireland model comprises dealing with one editor in Dublin, with one publication date, and vice versa if the book was coming from a UK-based imprint. 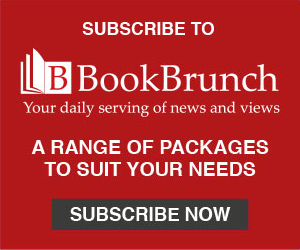 "There are some books, because of differences between the two markets, with certain types of fiction, where we may publish in trade paperback in the edition that’s going to be the ‘big’ edition in the Irish market, and then our B format paperback is going to be our ‘big’ edition for the UK market." An example of which is Irish crime author Liz Nugent’s latest novel, Skin Deep, which recently came out in paperback in the UK. "That reflects the fact that the trade paperback has a particular position in the Irish market, whereas the B format remains the big commercial format in the UK," says Barrington. "So, we do them sequentially and we tailor our campaigns - publicity, marketing and sales - to whatever we think the market will be. Every book is different. We’re very collegial but we’re not co-editing, we publish our books and we don’t have to get a UK editor on board." Working as an Irish imprint that is part of a global conglomerate is "the best of both worlds", Barrington says. "Although we’ve got bigger in the past few years, we’re still, in terms of our staff and output, a small Irish imprint. Albeit we’ve had some big commercial successes, but in terms of scale and atmosphere, we have the feel of a small, independent publisher in most ways. Not all our books will have a market in the UK, but some of them do, and if there is a market, we can reach it; we can get our books into shops. And that’s a lot easier under the Penguin imprint than it would be for a small, independent Irish publisher." Barrington was born and grew up in New York, before attending Wesleyan University in Connecticut and working for a year in the US after graduation. He came to Dublin in 1995, and has stayed ever since. "I didn’t grow up thinking I was going to be a book editor," he says. "My first editorial experience was as a student journalist. And even at the student newspaper, at a small university, we took it really seriously. We operated as though we were the Washington Post in 1973, so obviously with perspective you can look back and laugh at yourself a little bit." Barrington says that his first years at Lilliput were a learning curve in establishing his approach. "I probably had to get over myself a little bit, because I was going deeper editorially with some books and authors than I needed to. As you grow up as an editor, you get a better sense of how to build a bridge between the work as it stands - whether it’s a complete draft, something you commissioned or something in between - and the readership you’re trying to reach. What you learn over the years is how different every book is. "Every book, and every author, needs its own plan and his or her own approach. It’s as much an interpersonal challenge as it is a technical, literary challenge, editing a book. You learn that you get better results if you can establish a deep understanding and a deep trust with the writer, so that the writer knows you don’t view their work as a problem to be solved, but rather as a gem to be polished. Probably when I was in my 20s, I was a bit too gung-ho as an editor and I wasn’t very good at the part of the job that’s more like a psychotherapist." He mentions the need to remember to tell authors, 'I love your book’'. "Once you get into editing, you’re immediately focusing on what’s not perfect about it. Some writers need to be reminded every now and then that you really love this book, which is perfectly understandable." Barrington is also the editor of the Dublin Review, a quarterly literary magazine which he founded in 2000, and between which and Penguin Ireland he divides his week. The Dublin Review is supported by the Arts Council and publishes a mix of short fiction, essays, reportage and memoir. Recent Costa Novel winner Sally Rooney was apparently initially approached by her agent, Tracy Bohan at the Wylie Agency, after her essay about student debating was published in the Dublin Review in 2015. Though Barrington likes the kind of semi-autobiographical fiction that authors including Rachel Cusk, Teju Cole, Karl Ove Knausegaard, Sheila Heti and Ben Lerner are writing, he says he is particularly excited about the recent boom in creative non-fiction, especially in an Irish context. Last year, Penguin Ireland published playwright Arnold Thomas Fanning’s memoir, Mind on Fire, about the author’s experiences with mental illness, which was shortlisted for the Sunday Independent Newcomer of the Year award at the Irish Book Awards. Barrington says that his tastes when acquiring for Penguin Ireland and for the Dublin Review often overlap: Fanning, for example, had written an essay for the journal about the winter he spent homeless in London. Barrington was "knocked out", asked for more, and got the book. This kind of non-fiction was until recently often seen as fiction’s "poor relation", he says, and in the early years of the Dublin Review he found that he could get people to write in this vein only if he commissioned them. "What we’re seeing more of is all kinds of inventive non-fiction coming out of Ireland," he says. "Increasingly, brilliant young writers are approaching me with essays and other kinds of non-fiction: writing that starts from the self and builds a bridge between the self and the world."